We’re looking for exceptional full-time and part-time Member Service Consultants. 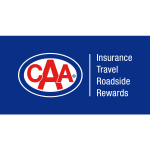 As Canada’s largest automobile association, we’re passionate about keeping our Members safe on the road, at home, or travelling abroad. We’re looking for high-performing, forward-thinking people who share our passion. You’re someone who is driven to provide exceptional experiences. You know how to sell well, finesse detailed reservations and revel in making good days even better for our 2+ million Members. Best of all, you love to work hard and play hard. Looking to bring your energy and experience to a fast-paced, performance-driven environment that values career growth and ongoing professional development? We’d love to talk to you.